Bath time in our house has to one of the most enjoyable routine activities for the kids each night before bed. Logan only had a bath every other day before Harlow was born as he wasn't always dirty and I didn't want to dry out his young skin. However since Harlow's arrival the other half and I have started to bath the kids nightly to get Harlow into a little routine of knowing it's almost time for bed and time to hopefully sleep! Trying to keep bath times fun and interesting can always be a challenge especially since the kids are now having a bath every night. Luckily for them, more so for Logan, Paddy's Bathroom got in touch to see if we'd like to try some of their new and exciting products. Paddy's Bathroom range has been created by the lovely Dad behind Ella's Kitchen. As you might have guessed Paddy is the son of said Dad (Paul Lindley) and it's lovely to see he's created a range of products for each child. Over at www.paddysbathroom.com you get to meet Paddy and learn that these products have been created because his Dad promised him and Ella that he would only use stuff in their bath that was kind to skin. 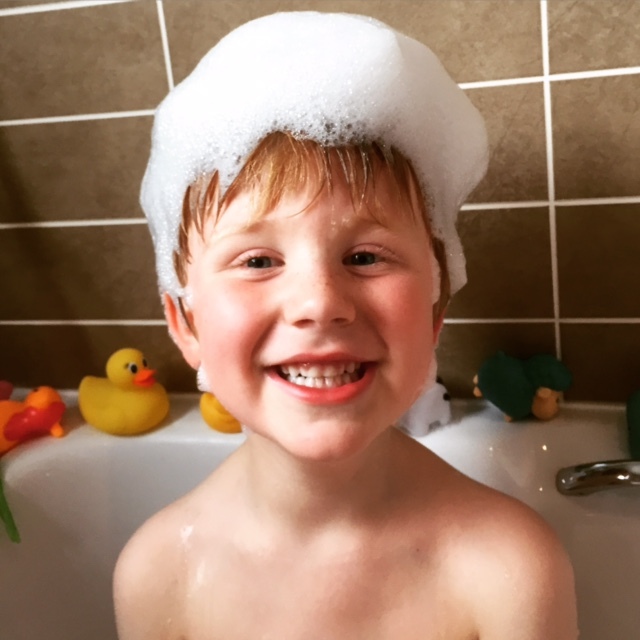 Paddy asked that everything be super bubbly and smell great too hence Paddy's Bathroom was born. 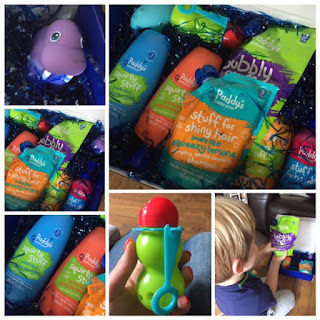 Logan and Harlow were lucky enough to be sent a whole host of Paddy's Bathroom goodies (stuff for shiny hair, bubbly stuff, stuff for hands, foamy stuff and squirty stuff) which also included some fun bubbles and cute little bath toys. Logan was extremely excited to open the box and couldn't wait for his bath that evening. The bubbly stuff (RRP £5.99) is bubble bath that promises to smell like tangy tangerines, and boy does it! Logan wanted to pour this into the bath to watch the bubbles form and as soon as it's out of the packet the aroma of tangerines hits you. It's very fresh and quite nice although I think it wakes Harlow up a bit rather than helping her to sleep. Logan loves this bubble bath for two reason; one it is very bubbly with ample bubble making abilities, and two, he says it looks like green zombie slim! It does ooze out of the packet which appeals to Logan greatly. We received two of the squirty stuff (RRP £4.49) which is foaming hair and body wash. One smells of squishy mangoes and the other juicy pineapples. Both smell so good you could eat them. Unlike the bubbly stuff, these hair and body washes come in a plastic bottle. At first I was completely baffled as to how to open them and then I noticed the little hole in the lid. Turns out you have to pull the end of the lid to open it up i.e. the lid doesn't come off but once opened you can squeeze out the contents. Great idea so there's no fiddly lids however try opening this lid with wet watery hands and it's a whole different ball game. I had to get my other half to pull these open with his impressive guns as I just couldn't manage. A little frustrating but a lovely product which foams up nicely to wash hair and body easily. Logan loved it because it squirts foam and although he's been going mad squirting the foam every where over the past 3 weeks, there's still plenty of product left. Next up is the stuff for shiny hair (RRP £4.49) that smells like squeezy lemons. We all love the smell of this, it's very refreshing and it's great for making amazing silly hair do's with. Logan wanted a shark fin hair style so that's what he got. 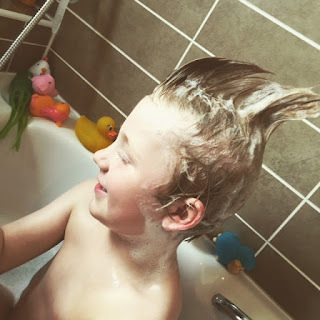 This product also oozes out of the packet like the bubbly stuff however it takes forever to wash out of hair and just when you think it's all rinsed, your child's hair is still foaming! I can forgive it slightly though because it does smell so good. Stuff for hands (RRP £4.49) which smells like squeaky clean lemons is contained in a child friendly pump dispenser bottle and as the name suggests it's foaming hand wash. I've never seen Logan so keen to wash his hands until he received this to try. Even I'm forced to use it when Logan's around instead of my normal hand wash. It's great foaming fun though and smells amazing like all the other products. Last but not least we received the foamy stuff (RRP £4.49) to try out which smells like rosy apples and is a foaming hair and body wash. It really does smell like apples by the way and like the stuff for hands it comes in a pump dispenser bottle so easy for kids to use. Logan really liked this one, it was his favourite smell I think and the fact he could wash his hair and body himself made him feel very grown up. All of these products are 98% natural. The foamy stuff, stuff for hands and squirty stuff have 73% organic ingredients in them whilst the bubbly stuff has 63% and the stuff for shiny hair has 56%. It's a pleasure to know this as I believe you shouldn't scrimp on kids bath products especially if they suffer from dry skin. So many bath products out there don't do anything for kids skin whereas with the Paddy's Bathroom range I've always felt Logan and Harlow's skin to be soft and nourished after each bath. Perfect since they're getting a bath every night. Paddy's Bathroom also have a Drop By Drop campaign going on at the moment. I'll let them explain more: "We created our Drop Buy Drop programme to help those who need it most, get access to clean water for health and hygiene. That's why we give 50 US cents for every single product we sell toward clean water initiatives that help families in Africa. Right now we are working with DelAgua, who are partnering with the Government of Rwanda, to provide water filters to some of the poorest families in Rwanda. The water filters make water clean for drinking, cooking + washing so kids don't get sick from dirty water. You can help us just by buying Paddy's Bathroom products." 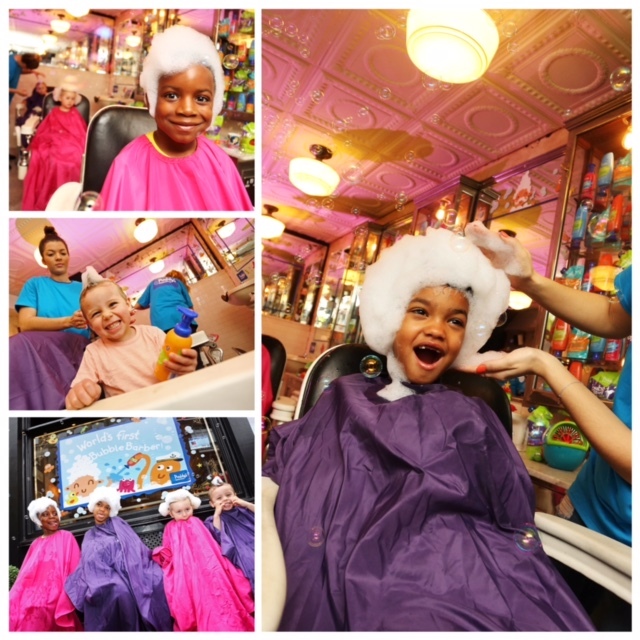 Paddy’s Bathroom recently opened its doors to the world’s first Bubble Barber for two days only in London. We were invited but couldn't attend however I'm assured it was a great success and with a menu of bubbly barnets to choose from, little ones were given the chance to sport their favourite celebrity hairstyles in bubble form. This ranged from David Beckham’s Mohawk to Princess Leia’s Space Age Buns! To create your very own Bubble Barber check out the Bubble Barber how to video below. Overall some really good products that smell amazing and keep your little one clean. I'm awarding an 8/10 because I love what the brand stands for, their Drop Buy Drop campaign and also that the products are kind to skin and make bath time fun. The stuff for shiny hair did annoy me in the fact it took ages to wash out and also the squirty stuff bottles I found a little tricky. 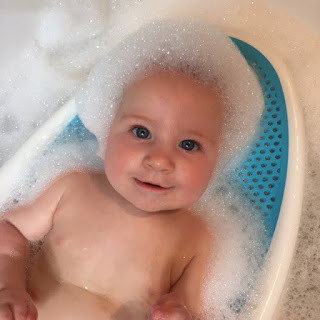 The product pricing is fair compared to other products on the market at this level and basically Logan loved everything as it made bath time fun for him and his baby sister. 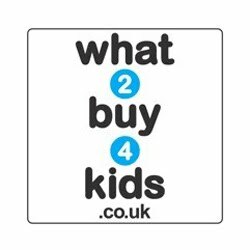 Products can be purchased from selected Tesco, Asda and Boots stores. Please visit www.paddysbathroom.com for more products and information. You can also see what Paddy's Bathroom get up to on Facebook and Twitter, so why not pop over and say hello. I was sent a bundle of Paddy's Bathroom goodies in return for an honest review. All opinions are my own. 1 comments on "Review: Paddy's Bathroom Range"